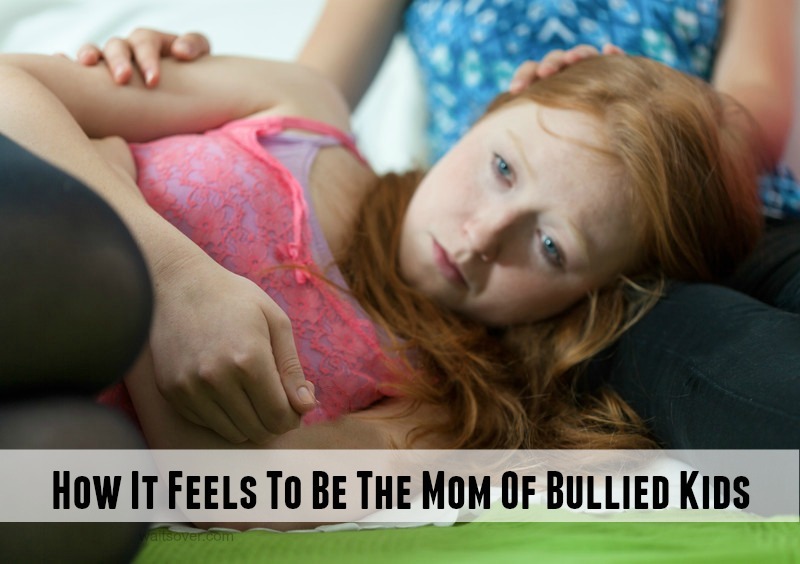 I Want To Tell You How It Feels To Be The Mom Of Bullied Kids. Its a special kind of hell. I want to let you know how many excuses you can try to make up when your child invites 12 kids to his birthday party, and only two show up, one who obviously was forced by his mom. I want to tell you how it feels to stand by the door, waiting for the school bus, and praying, “Please, God, let him have had a good day,” and knowing the answer two steps after he gets off the school bus. I want to tell you how you can cringe every time the phone rings during the school day, how you hope it’s not the school calling with a sick kid, a guidance counselor or a some other problem. I want to tell you the the horror of walking in on your 13-year-old daughter trying to swallow pills to end her life, because other teens have convinced her that she is worthless and the world would be better off without her. I want to tell you about pulling over on the side of the road sobbing so hard you vomit because you had to drive away from the hospital—leaving your child in a psych ward for “observation” after taking those pills. I want to tell you about sitting up, night after night with your teen, holding her hand to both let her know that you are there and to be sure that she doesn’t get up and do something stupid. I want to tell you about the hundreds of fights you’d have with people telling you to just get over it, that kids will be kids. But what I really want to tell you is to please, please, please teach your children to be kind. Teach them that while they don’t have to be friends with everyone, they should be civil. Teach them to respect people who are different, and that if they don’t have something nice to say, then don’t say anything at all. Show them by example. I'm living life fully as embrace middle age, help end the stigma of mental illness, get healthy and prep for the Zombie Apocalypse! Anti-bullying advocate for both kids AND Parents.